Last Saturday was a nice warm day here in central California. A couple of weeks ago, my wife and I, decided to go up into the Sierra foothills for the day. The ground above 4,000 feet was still covered with snow. So this last weekend we went to the beach instead. 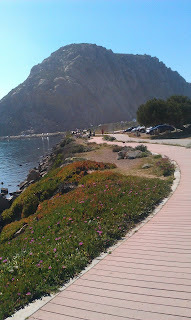 Morro Rock, Morro Bay CA. I always like going to the beach. It is generally cool, rarely cold and even more rarely hot. In a couple of hours driving west we can go from high summer temperatures of over 100 degrees Fahrenheit to just 60 or 70 degrees Fahrenheit at the coast. Saturday at the beach we went from periods in bright sun with blue skies to rolling sea fog swirling about us. It was almost magical. Then we also decided to try out a new place to eat. 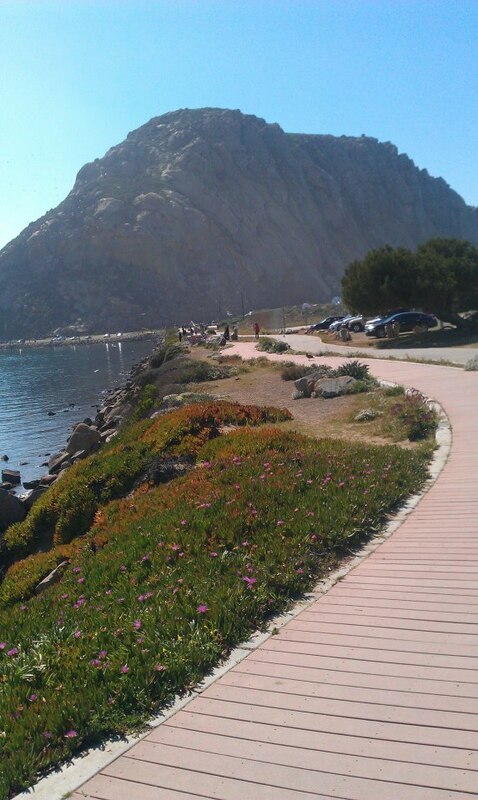 Even though we go to Morro Bay, CA. 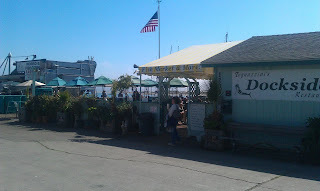 several times a year we had never been to the Dockside Too Restaurant. It is a outdoor restaurant right on the quayside and their seafood is quite delicious. 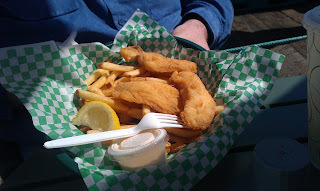 I opted for Fish and Chips, no idea why Americans call chips Fries in all other combinations, but Fish and Chips it was. My wife went for Fish Tacos, fish and salad on a small folded tortilla. 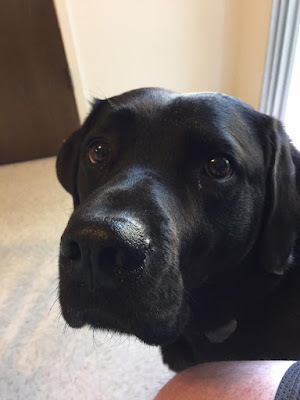 Another great thing about Dockside Too is that the owners love dogs, Labradors actually, so the locals all take their pet dogs there after a walk on the beach. I will be sure to remember this if I am choosen to get a guide dog. Dockside Too Morro Bay, CA.